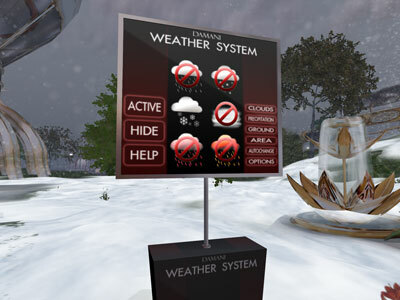 It's been a while since a last update, but meanwhile we've been very busy with developing a new version of the weather system. So what does the v2 version got that the v1 version doesn't? 3. 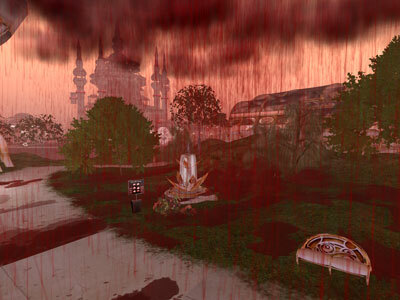 Rezzing control panel. When you don't need it, it's not there. 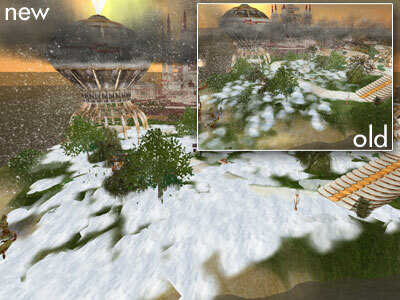 Reducing the prim usage of the weathercontrol to a single prim. People who bought the v1 version will have an easy option to upgrade to v2. 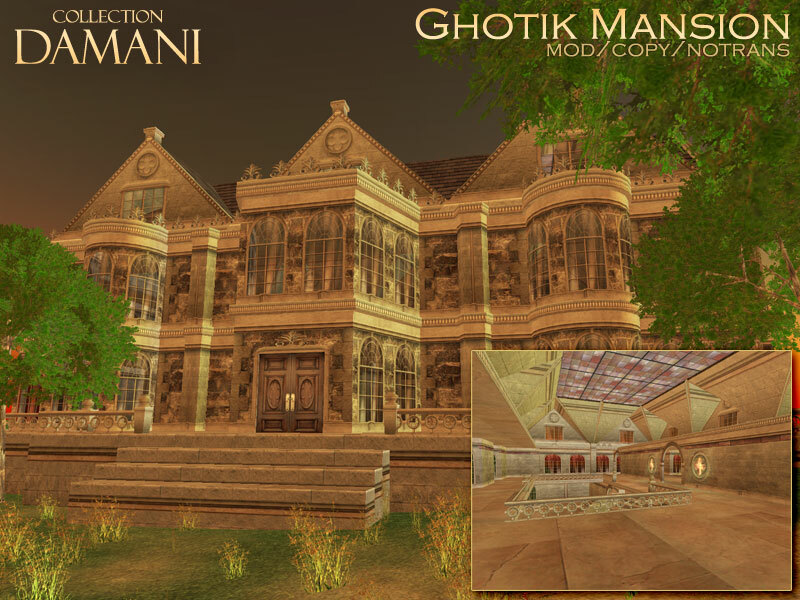 A week or so ago, Damani released a new prefab, the "Ghotik Mansion"
Based on old english manors, the ghotik mansion is a big 2 floor open dwelling, with archways and staircases. The house is not made to be low prim or as a first house, a lot of time has been spent on adding little details. New sound effects have been added, like the sound of stone when you step on the steps and stairs. Also, this house is the first featuring complete autorezzing. I will add autorezzers to all multi-part houses in the coming period. The bigger ones will have priority in this though. 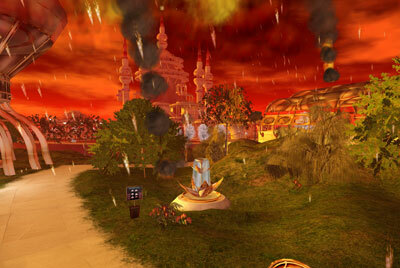 Since a while already, one of the rotating pictures, shown when going to the Second Life homepage has been the Damania sim.